Less than an hour from Geneva and with an incredible snow record Les Carroz is a relatively unknown gem which is well worth a visit. Whilst we Brits tend to head to the household name resorts (that are great in themselves) there are lots of off the beaten track resorts that can offer so much if we open our eyes and try something different. Les Carroz is typical of these – what’s not to love about a resort that gives you all of this…. If you’ve only got a weekend or a short break you really don’t want to be spending the best part of a day travelling to and from the resort with a 3 hour transfer each way. 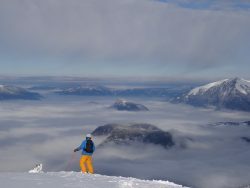 From Geneva airport you can be skiing within two hours of landing – no time wasted and if you get a return flight in the late afternoon or evening you can ski all day really maximizing your slope time. ‘Yes that’s fine but not if I’ve only got a small ski area and will be bored by lunch time on the first day’ – not here you won’t be as it is part of Le Grand Massif! This is the 4th largest linked ski area in France and offers you 265kms of skiing. 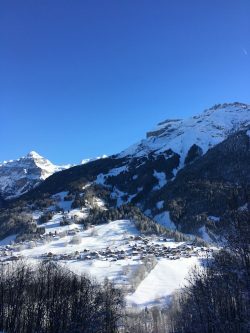 From the wooded slopes of Les Carroz, gentle slopes of Morillon, north facing slopes of Samoens and the wide open bowl that is Flaine. You won’t be bored here! There is something for everyone here whether you are learning or love your off piste. Arguably the best green run in the world ever is easily accessed from Les Carroz – whatever your level check out the ‘Marvel’ in Morillon. A simply stunning cruise through the trees that seems to wind on and on and on! If you like your blues then you must check out Cascades that runs for 14km from the top of Flaine down to Sixt. You have to get a bus back round to the lift at Samoens but it’s well worth it. For reds then head to Flaine and enjoy the wide open devil named ‘Faust’, ‘Lucifer’ & ‘Demon’ runs. For off piste powder lovers then Gers bowl is a must – in the right conditions you could ski all day here without getting bored. If your legs will let you! The resort itself is more of a traditional village than a lot of the typical French resorts which can be high rise concrete jungles. The centre is around a square with plenty of restaurants and bars to keep you fed and watered. Whilst not the largest village there is plenty to keep even non skiers entertained with a new swimming pool and spa to relax in or keep the children entertained. There is a dedicated tobogganing run with it’s own lift in the resort centre and the usual snow shoeing, cross country skiing, dog sledding etc to keep you busy. If you really want to head to a big resort – maybe to just remind yourself how lucky you are to have found Les Carroz and Le Grand Massif (!) then you can access some large household name resorts in around an hour – simply perfect for a day trip. 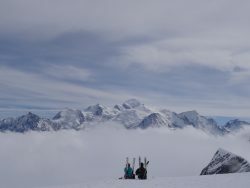 Chamonix, Les Gets, Morzine, Avoriaz, Megeve, La Clusaz are all around an hours drive away and in fact you can get some great view of Mont Blanc from the top of the Grand Massif. With all of this you’ll find Les Carroz possibly the best resort you’ve never head of, I’m pretty sure you really won’t be disappointed and probably won’t want to tell anyone else about it so you can keep it to yourself! Thank you to one of our awesome owners, Rich for his local knowledge! 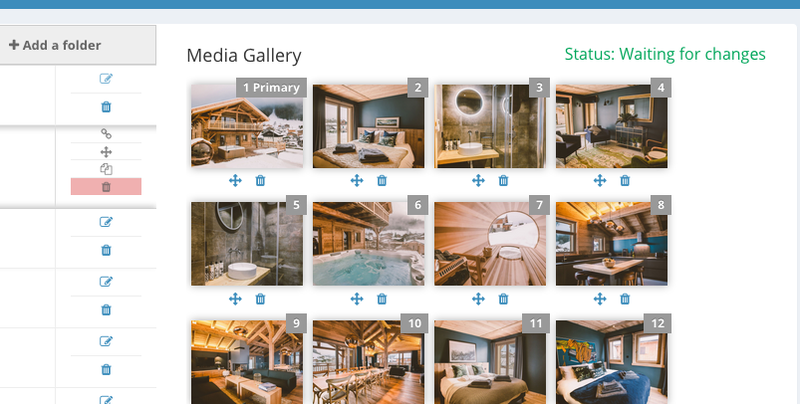 If you want more tips from Rich then check out his apartment in the heart of Les Carroz. For more options, get in touch! !